The upcoming NBA All-Star Weekend festivities in Charlotte, NC has opened doors up for brands to unleash some exciting new product focused on basketball’s best and brightest leaders. 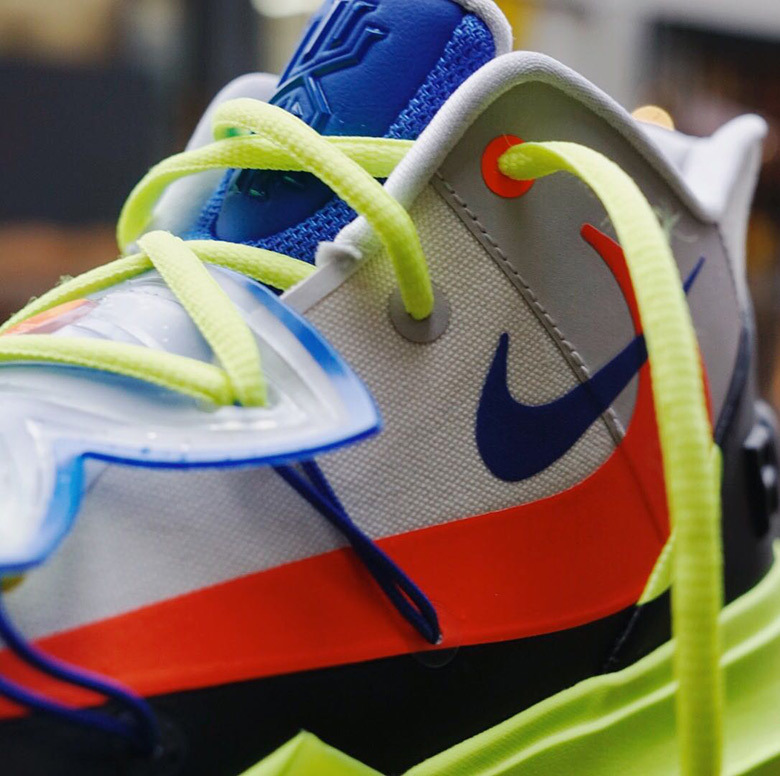 Nike has a collaboration set with LA-based streetwear label ROKIT on the Kyrie 5 signature shoe, seen here in a colorful array of neon tones, a translucent Flytrap at the midfoot, and an oversized reverse Swoosh logo on the upper. The Kyrie 5 has been privy to a lifestyle approach as several collaborations have already been revealed in such a short time frame; it debuted with a partnership with Taco and continued its hot streak with the Egypt-inspired “Ikhet” by Concepts, and this All-Star weekend this vibrant composition should be one of the weekend’s most talked-about releases. Check out a first look here, and stay tuned for updates on the ROKIT x Kyrie 5.